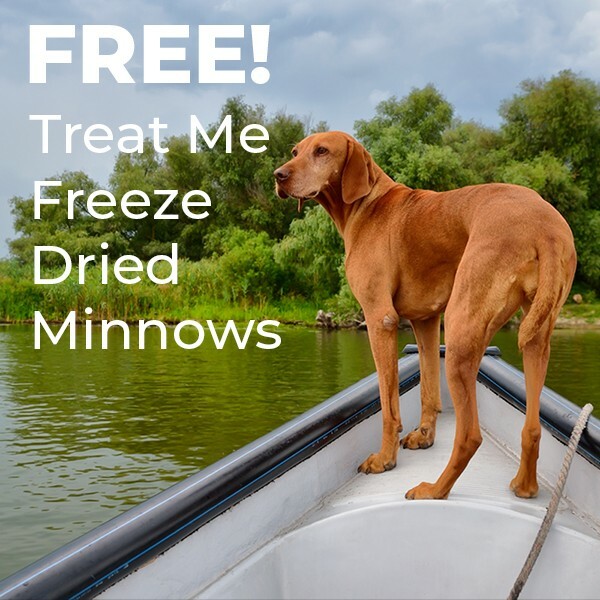 Treat Me Freeze-Dried Minnows... the nutritious and delicious treat that's reeling in fur babies all across the country! Sourced in the USA and made in the USA, these bite sized minnow chunks are suitable for dogs of all sizes and breeds and are loaded with essential Omega fatty acids. The delicate freeze dried raw texture makes them easy to eat and slightly crunchy for your dog's delight. FREE for you today...just pay shipping & handling! YES! I WANT MY FREE BAG OF TREATS!